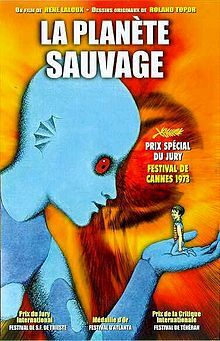 Looks like they liked "Fantastic Planet" more than "Savage Planet" for the translation? Stefan Wul wrote the stories that both of these are based upon, and since he died a while back, I'm not sure he was involved with the graphic novel Niourk. The last few Hot Jazz posts have been about either ongoing series (Grass Kings) or miniseries (Eleanor and the Egret), but this is a longer and denser offering, and one I'm excited to get into. Was it me, or did "4 Kids..." end abruptly?